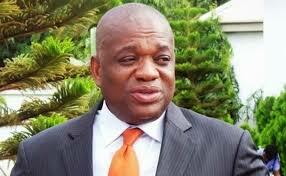 An Igbo group, Ogene Igbo Support for Equity and Good Governance, has thrown its weight behind the intention of the former Abia State governor and Abia senator-elect, Dr. Orji Uzor Kalu, to become the deputy senate president in the 9th Senate to be inaugurated in June. The group said that Dr. Kalu is most qualified for the position and thus urged the leadership of the All Progressives Congress (APC) and other senators-elect to support his desire to emerge the deputy senate, president. National Coordinator of the group, Charles Mbalisi, in a statement released in Abuja, on Monday, encouraged Dr. Orji to declare his intention as quickly as possible, as he would enjoy massive support from party officials and other colleagues. Mbalisi said the group respects APC’s decision to zone Senate presidency to North East, but requested that the position of the deputy senate president be zoned to the South East, in order to maintain an equitable balance in the party’s zoning of the leadership of Senate and House of Representatives in 9th Assembly. He said: “The huge contributions of lgbo leaders in APC, particularly in the last presidential election and other elections in the South East cannot be underemphasized. APC got more votes in 2019 elections as against 2015 elections. “Undoubtedly, Dr. Kalu contributed greatly to that success. Not only that, he also ensured that APC got impressive votes that helped President Muhammadu Buhari win the 2019 presidential election comfortably. “He is a bridge builder between the South East and other regions in Nigeria. In other words, he posses the political influence and diplomacy to complement the Senate leadership as a deputy senate president.